When there is quite special need of highly clear line generation under night vision illumination work field, it is not workable at all for users to only use simple manual line printing device or visible laser devices etc. 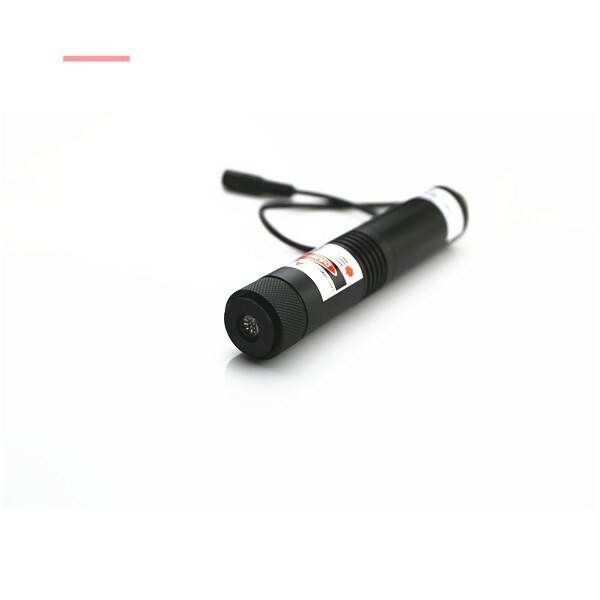 On basis of quite advanced use of 808nm infrared laser diode tech and special equipment with night vision device, such as CCD camera, black and white camera or infrared laser camera, high power 808nm infrared dot laser alignment is just forming into a real and practically used night vision dot measuring device. Owing to invisible infrared laser line emission from beam aperture, this infrared laser module should not be used separately. When it is being used as an accessory part for any other night vision device, it would make sure of highly clear and accurate IR dot emission in distance effectively. Under night vision dot aligning work fields, such as military targeting, laser medical treatment, surveillance or intelligence system etc, high power 808nm infrared line laser alignment would be used for quite long work distance. It is getting beginning high power of 500mW to 1000mW. When it is getting extremely intense infrared laser light emission and up to 80% photoelectric ability, high power infrared laser module would just make sure of extremely intense infrared laser light emission and highly clear infrared laser line projection in distance. When different line length is in need, high power 808nm infrared line laser alignment is being made with the most qualified glass coated lens or separate crystal lens. It is getting selected optic lens degree within 10 degree to 110 degree, whatever kind of working surface, infrared reference line is available with high fineness and high linear quality. According to quite easy adjustment of laser beam focus, high intensity infrared laser light will be concentrated and forming into the finest IR reference line in use. According to the design of aircraft used aluminum alloy housing material, under operation of quite harsh working environments, high power 808nm infrared line laser alignment is not affected under wide range operating temperature and harsh working occasion. It is installed on any other night vision device or equipment, it is keeping the most reliable IR reference line projection under all kind of mechanical shocking, calibration or moving etc. In order to prevent hurt caused by serious intense infrared laser light, it is the most important design part to take laser safety measure and wear 808nm infrared laser safety goggles until achieve free and quick IR line projection perfectly.